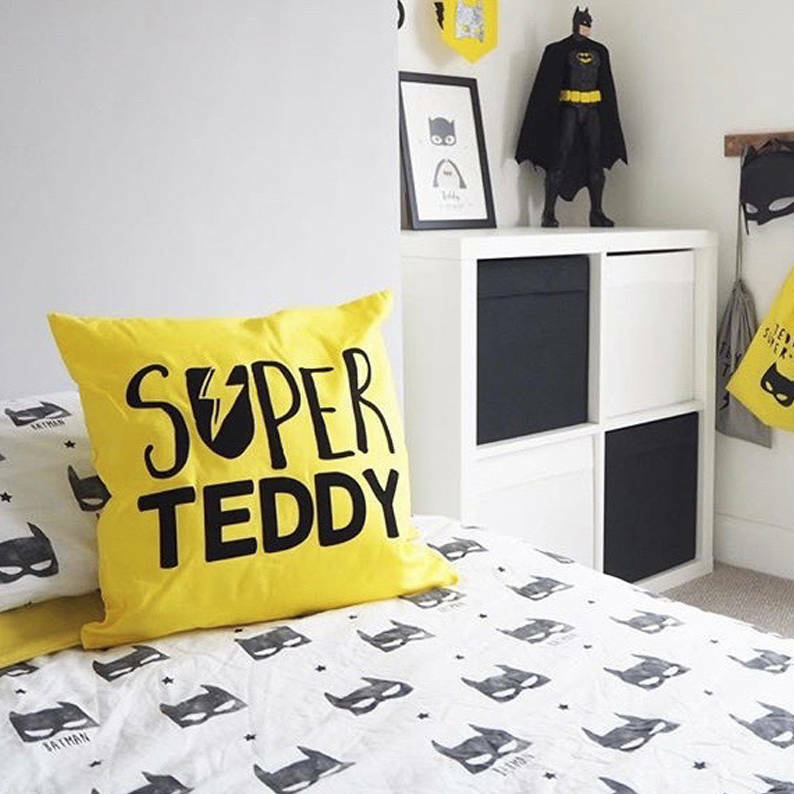 Make them feel like the hero they are with our Personalised Superhero Cushion. Printed in lovely soft flock with a metallic detail. 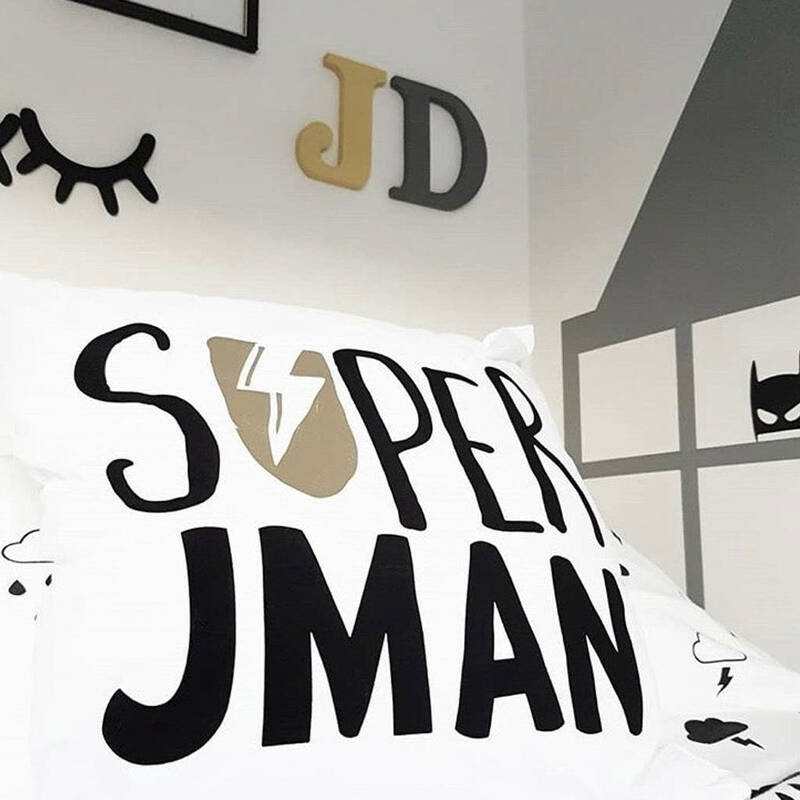 They'll feel like the biggest superhero around with one of these personalised cushions in their room. Available on our White, Black or Red Cushions with a range of print colour options. 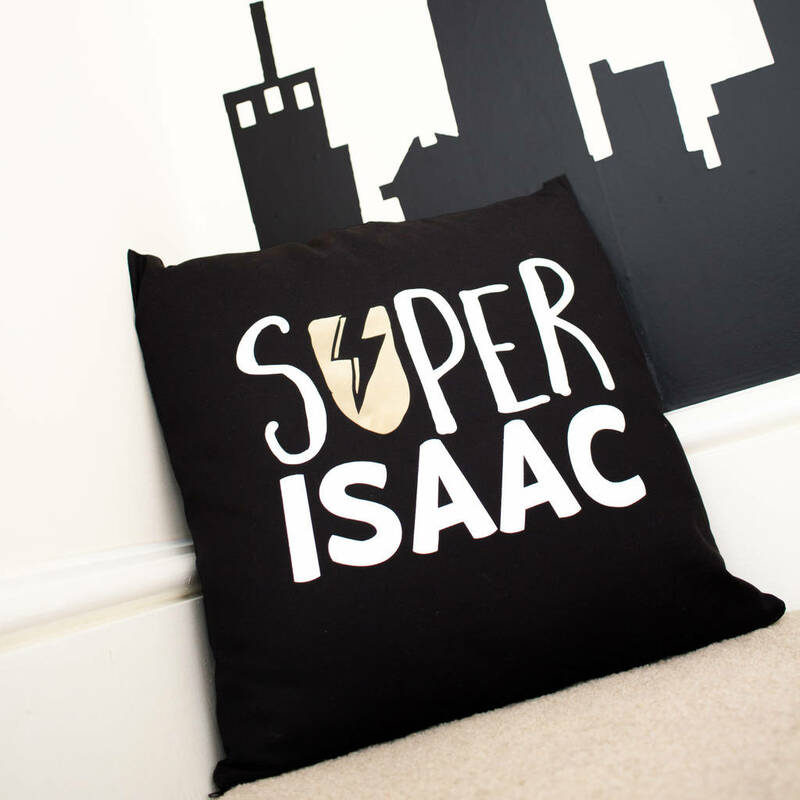 Our cushions are 41 x 41cm and you can add one of our cushion pads or buy the cover only. This design was lovingly designed in house and is printed to order, by us in our Devon studio. 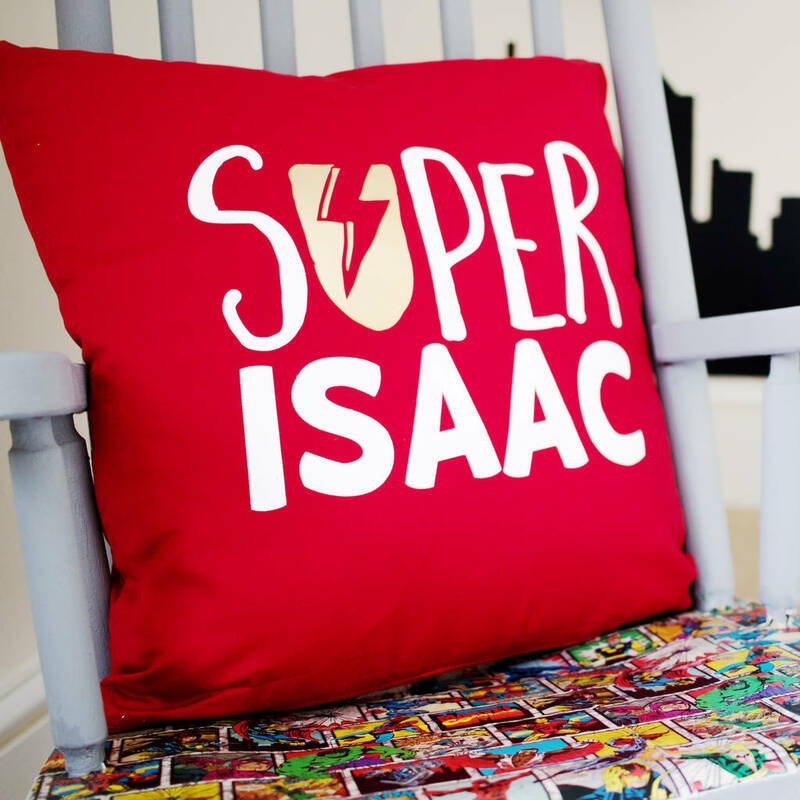 Our cushions are made from 100% cotton. We use only the highest quality PVC free and baby safe vinyl.